Well at least we can grow something! 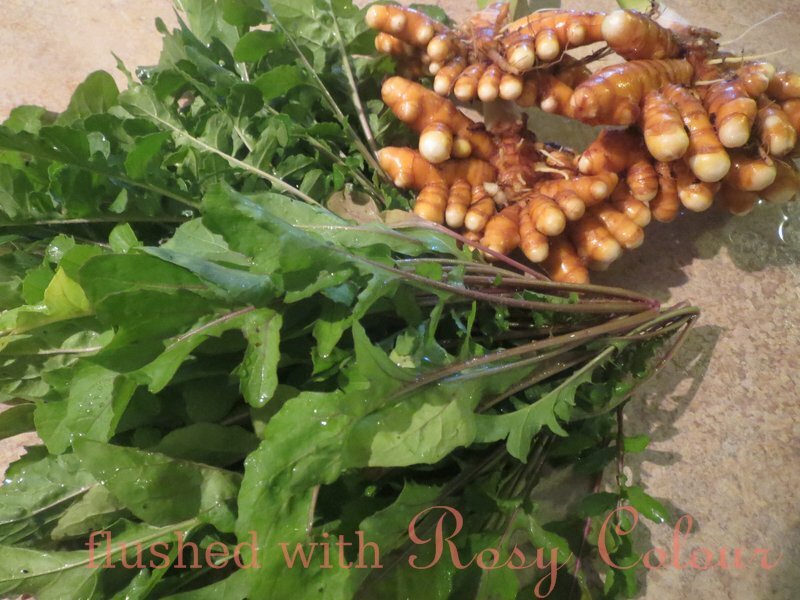 Here is a photo of our winter harvest, turmeric and rocket. Tumeric grows in our garden like a weed, and we never use all we grow. We just spent the afternoon planting out 2 veggie patches with zucchini, broccoli, cherry tomatoes, beetroot, bok choi and spinach. We also made a new patch near where we put the passionfruit last weekend, and we thought we'd try some spinach there as well. My plan is to make more of an effort to water the garden every day as I think that's where we've been failing. Hopefully we'll have more to share on our harvest in the future!